According to the American Lung Association, more than 40 percent of Americans breathe in dirty air every day. 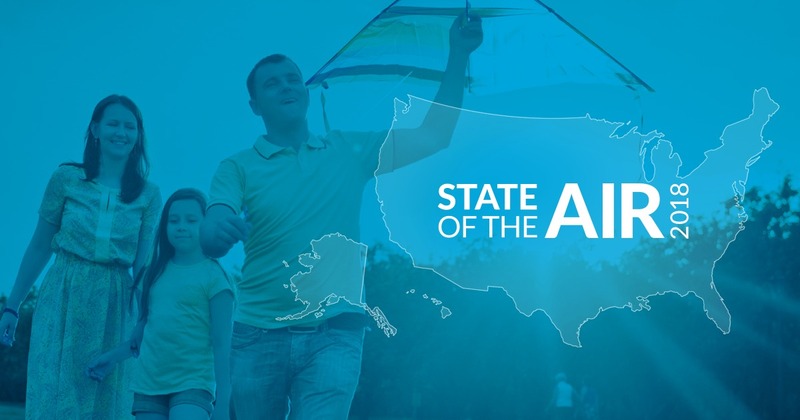 That’s the findings from the association’s annual State of the Air report, which tabulates the quality of air in cities across the United States, factoring in smog, air pollution, carbon monoxide levels from car exhaust and spikes in temperature, which “cooks” pollution to make it more intense. The overall effect: dirty air can cause difficulty in breathing, decrease life expectancy and may even contribute to lung cancer. Given the topographical shape of California—it resembles a bowl that traps bad air at lower levels, instead of allowing it to float into the atmosphere—it’s no wonder that a number of the cities with the worst pollution are from the so-called Golden State. The Los Angeles area ranked number one on the list of most polluted cities over a 24-hour period, followed by the Bakersfield, Visalia, and Fresno, CA areas, respectively. Fairbanks, AK ranked fourth, primarily because a great number of residents use wood-burning stoves and fireplaces for heating; these appliances cause the releases of harmful chemicals that linger in the air. For the most polluted cities with annualized results, Fairbanks, AK took top (dis)honors. This means the city had the worst year-round results. In terms of most polluted cities with regard to ozone production, Los Angeles, CA ranked first. That would be Cheyenne, WY, followed by Honolulu, HI and Casper, WY, because they have relatively smaller population centers. Still, the numbers are alarming. What’s more, given that indoor air is two to five times more polluted than outdoor air, there’s real concern about the air we breathe. Simply staying indoors on high-ozone days doesn’t cut it. Instead. You need to ensure that indoor air is clean. The best way to do that, in our opinion: get an AeraMax Professional air purifier. The complete line of professional-grade air purifiers effectively and efficiently clean indoor air, removing up to 99.97 percent of harmful contaminants—like germs, viruses, odors, volatile organic compounds, odors and pollutants—from indoor air, using hospital-grade True HEPA filtration. So, while you can’t necessarily move from your area to get better air, you can make the air better, with AeraMax Professional.